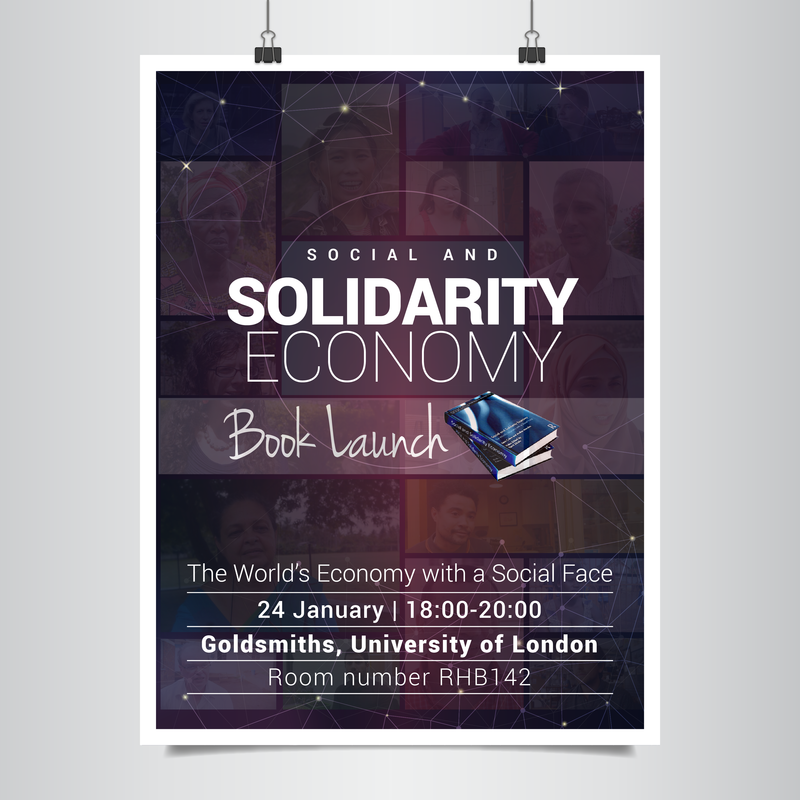 We are very pleased to invite you to join us for the book launch of ‘Social and Solidarity Economy: the World’s economy with a social face’ that brings experiences from different social and solidarity economy initiatives around the world. This book aims to provide the reader with an insight into the relevance of a section of the economy, which is often referred to as the ‘social and solidarity economy’ (SSE); and highlight some of the current issues in the field, how they are being addressed and some of their future implications. Using case studies from around the world, this book ‘Social and Solidarity Economy: The World’s Economy With a Social Face’ provides an up-to-date account of the strengths and weaknesses of these initiatives across four continents including issues that have not been researched sufficiently before (e.g. circular economy, social propaganda and its dangers, social enterprise as a panacea for NGOs in developing countries, and ‘new’ social movements). There is growing interest in SSE initiatives among policymakers, foundations, researchers and academic institutions around the world. Despite this interest, SSE related research remains scarce. There are concerned that SSE initiatives, which contribute significantly to their local communities’ development, need to be more widely disseminated amongst the general public. The Social and Solidarity Economy: The World’s Economy With a Social Face will help promote the ground-breaking work being done by organisations and individuals but which remain undocumented and help to raise awareness of such initiatives as well as contribute to academia with a critical approach to the sector covering issues that have not been covered much before, such as the circular economy and the dangers of social propaganda. Aimed at researchers, academics and policy makers in the fields of Social Enterprise, corporate social responsibility, tourism, International Economics as well as supporting disciplines ‘Social and Solidarity Economy: The World’s Economy With a Social Face’ looks to establish and help define the field. This event is a chance to learn more about the book and meet the academics involved. It will be a celebration of the book and the authors, with a panel discussion and the presentation of the film feature ‘Memoirs of Solidarity’ that was produced as a result of this research. The book can be preordered and please do send in any questions you have for the panel who will do their best to answer them at the event.